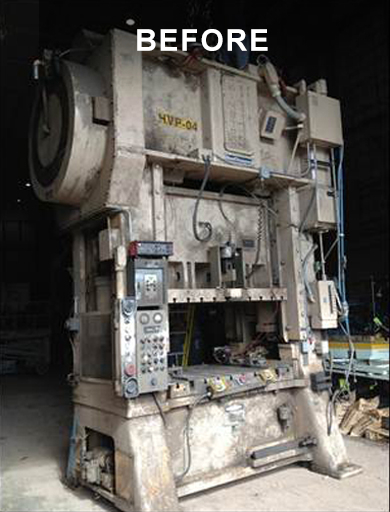 200 Ton Hevi Stamper – StampTech Inc. Remarks : Customer needed an additional 4” of shut height on his press. We disassembled the press, added 4” machined risers between the base and sidewalls of the press and supplied longer tie rods. 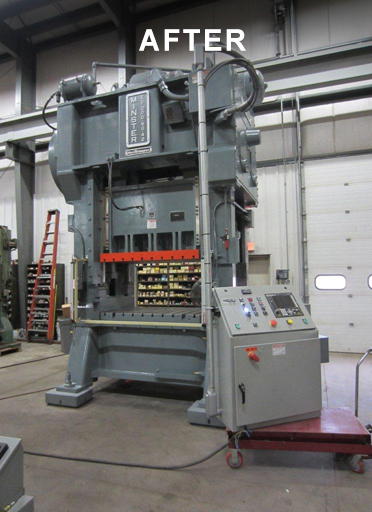 We rebuilt the press to new machine specs and added a new OSHA compliant press control.